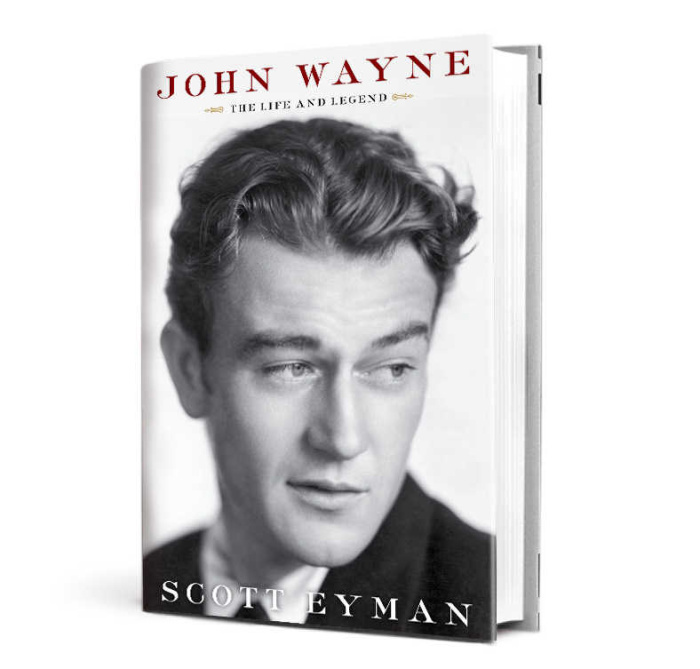 John Wayne: The Life and Legend by Scott Eyman. Simon & Schuster, 658 pages. I’ve always liked John Wayne movies, mostly because my father was a big fan when I was a kid. Now that my dad is gone and I am older, I’ve become partial to them again, often to the chagrin of my “modern” children. Probably the biggest reason why I like his movies is because I like the mythology of heroes. And if there was one thing John Wayne was good at, it was portraying heroes. Most people know that he wasn’t born with the name John Wayne. He was born Marion Robert Morrison in Iowa in 1907. He adopted the name “Duke” (not The Duke) from his childhood dog, and he went by that moniker the rest of his life, never bothering to legally change his name to John Wayne. He got his first job in film while on a football scholarship at USC, at first just moving props around. By the 30s, he was starring in B-movie after B-movie, most of them very badly done. But for 10 years he made almost 100 movies and refined his craft. It was John Ford who gave him his big break with the movie Stagecoach in 1939. And the rest, they say, is history. If you are a John Wayne fan, this is a must-read book. If you are fascinated with Hollywood history, biographies about filmmakers or early-year stars and starlets, or the business of scriptwriting, filmmaking and acting, this book is also recommended. The book is long–658 pages–and it took me five days, on and off, to read it. I mostly enjoyed the anecdotes showing his wit, his fierce temper, and his ability to charm pretty much anyone around him. I have several specific films of his that are my favorites–In Harm’s Way is one of them–and it was fun to read about the making of those films. The author gives his opinion on which movies he thought were ground breaking and which were flops, but he also uses John Wayne’s own words on which movies were worthwhile. If you are a fan, like me, you’ll like this book. Five stars out of five (for fans).